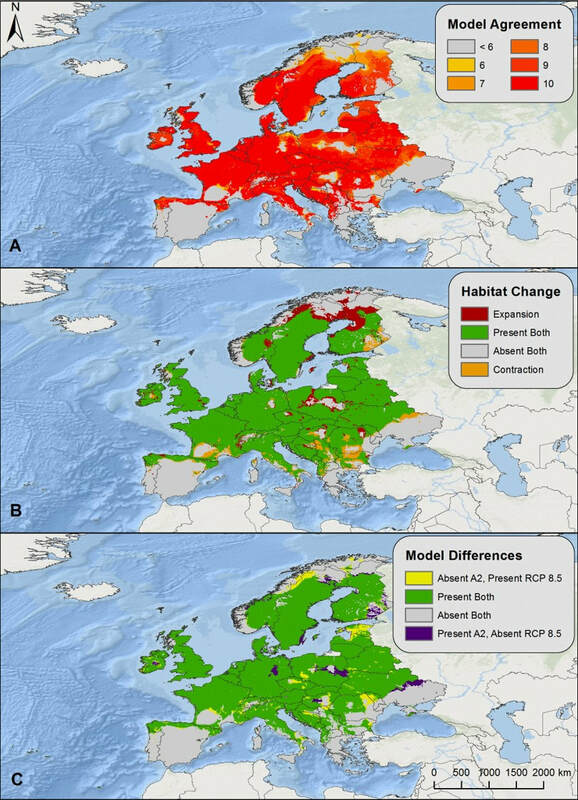 Spatial epidemiology is the study of the geographic patterns of diseases and other health-related phenomena and how they impact human and/or animal populations. Much of my research throughout my Masters degree centered around spatial epidemiology. Fleas, for example, are known reservoirs/vectors for plague around the world. The life cycle of plague can repeat itself through fleas and rodents continually infecting each other, but both fleas and rodents can subsequently infect humans through contact resulting in bubonic plague. If the spatial distribution of reservoirs or vectors for diseases can be determined, then prevention and control measures can be focused towards those localities and populations. Spatial epidemiology was a central theme of my thesis which was an in-depth examination of the current distribution of Bacillus anthracis, the causative organism for anthrax, across the landscape of Kazakhstan based on the occurrence of outbreaks in livestock populations. 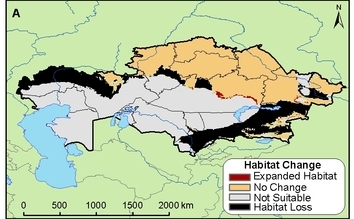 While examining the current spatial distribution and the climatic and ecological envelope that coincided with its presence, I also predicted the potential future distribution of B. anthracis in Kazakhstan based on multiple climate change scenarios (see map to left). Climate variables and ranges are important in determining the niche of most any species on the landscape so it follows that changes in climate will impact the niche and/or habitat range of any species. It is especially important to understand and subsequently model these relationships concerning diseases and their potential to spread to more populations in the future. Many species distribution, niche, and habitat modeling programs (mentioned in the Open Source/Freeware Modeling & Mapping page) can be used with varying degrees of success to model current and future distributions of vectors and reservoirs for disease. For example, GARP was utilized in a recent publication to identify the current and future potential habitat for the Ixodes ricinus tick species in Europe - a vector for Lyme disease (view updated map to the right, part of an ongoing effort to improve I. ricinus predictions. In addition to spatial models, statistical analyses can be utilized to determine current relationships between diseases and climate. For example, I have also collaborated on several projects that examine the potential relationships between teleconnections (e.g., El Niño/Southern Oscillation, North Atlantic Oscillation, Siberian High) and diseases (e.g., plague, tularemia, anthrax).